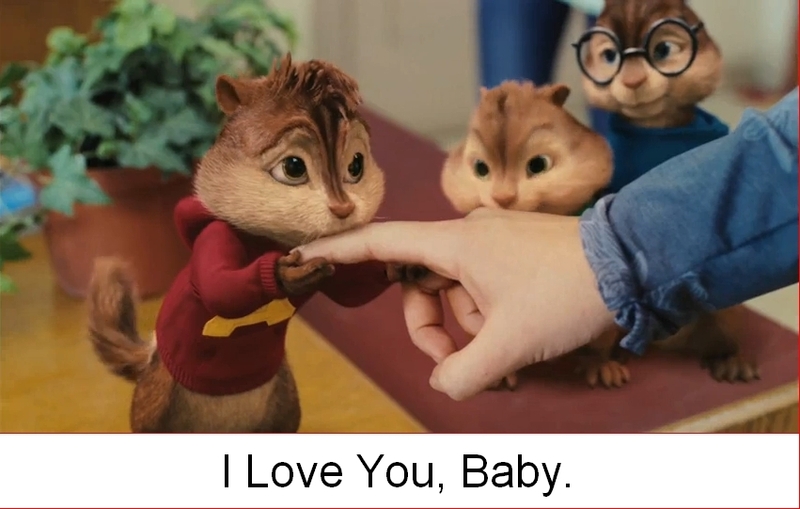 Alvin says 'I Love You, Baby"© <3. Alvin's Kiss. HD Wallpaper and background images in the Alvin and the Chipmunks club tagged: alvin. Thank you everyone! Over 65 views! Popular content! Wow! This is really popular! 115 views, thanks everyone! who knew alvin can be so charming.